Published November 19, 2013 at 650 × 410 in What’s New? ADJ Holiday Show at Youth in Arts! 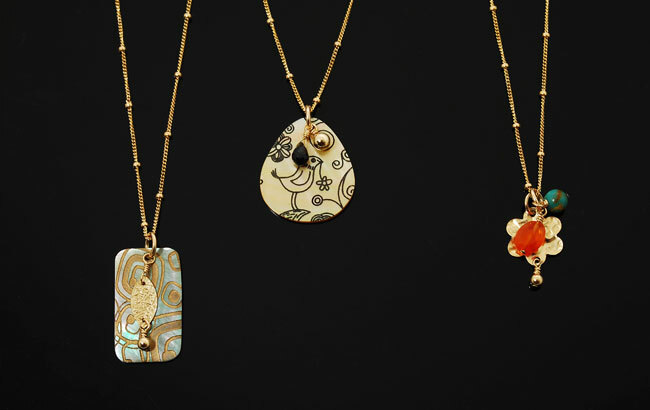 Whimsical and striking, you will want these pendants to accent your neckline every day! Shown with 14K GF leaf drop (L), black spinel and 14K GF bead (C), and carnelian and turquoise (R). 17″ long, 14K GF chain.